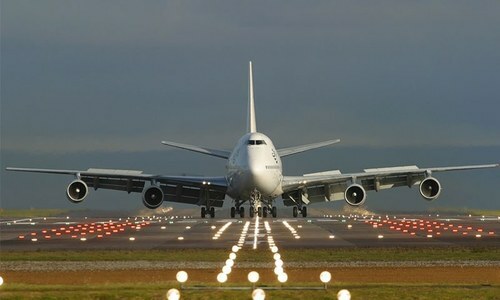 In this file photo, a PIA aircraft is seen on the runway at Manchester Airport. ISLAMABAD: The Economic Coordination Committee (ECC) of the Cabinet on Wednesday approved Rs17 billion supplementary grants and decided to treat Azad Jammu & Kashmir (AJK) at par with provinces for payment of dues on hydropower generation. 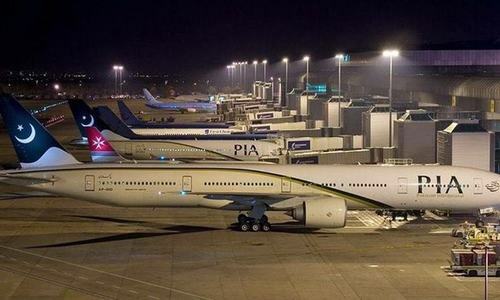 Presided over by Finance Minister Asad Umar, the ECC also froze Rs96bn worth of liabilities of Pakistan International Airlines (PIA) payable to the Civil Aviation Authority (CAA) and approved a $3 million supplementary grant for maintenance of an aircraft for the prime minister. The committee was briefed by the Water Resource Division on the proposed arrangement for settling the electricity tariff and water usage charges issues with AJK. Secretary Water Resource Division said a detailed arrangement covering all aspects of the issue had been worked out in consultation with the government of AJK. Under the new arrangement, AJK would be given a dispensation similar to the provinces, according to a statement. The federal and AJK governments would formally sign an agreement over the next few days under which the latter would set up its own distribution company (Disco) on the pattern of 10 other Discos operating in four provinces and would be charged a bulk tariff at around Rs6 per unit like K-Electric by the Central Power Purchasing Agency (CPPA). The ECC endorsed the proposal of a special committee to pay Rs1.10 per unit water use charges to AJK (instead of existing rate of 15 paisa per unit being paid against Mangla Dam’s power generation) to ensure applicability of the principle of equality and fairness as the two provinces — Khyber Pakhtunkhwa and Punjab — were being paid Rs1.10 per unit net hydel profit under Article 161 of the Constitution. Officials said the new arrangement would generate Rs10-12bn for AJK per annum on the basis of current power generation and keep on increasing as more power plants come into production. Instead, the federal government would not provide subsidy to AJK on power supply in future but would take over the past arrears that have been built up to over Rs90bn because of a special tariff arrangement. The officials of the Ministry of Water Resources and the Minis­try of Energy, Power Division, however, were unclear how the Disco would be created and charged a special rate given the fact that these companies re­quired licence from the National Electric Power Regulatory Authority (Nepra) while AJK was outside its regulatory jurisdiction. A senior official of the Power Division said the AJK government would perhaps follow ­special rates worked by Nepra through their internal ­arrangement. The matter would now be placed before the federal cabinet over the next few days for formal approval before its implementation and signing of an agreement between the governments of Pakistan and AJK. This will result in an additional cost of Rs10bn to electricity supply that would be charged to consumers throughout the country. The Ministry of Energy would facilitate the relevant company — CPPA — to secure regulatory approval for an increase of 11 paisa per unit consumer end ­tariff by the Nepra. The ECC was presented a troubled financial position of the PIA as usual. It was reported that the national flag carrier was in default of Rs96bn to CAA. Informed sources said the government had already exceeded its guarantee limits for the current year and hence decided to freeze these liabilities along with late payment penalty until June 30. 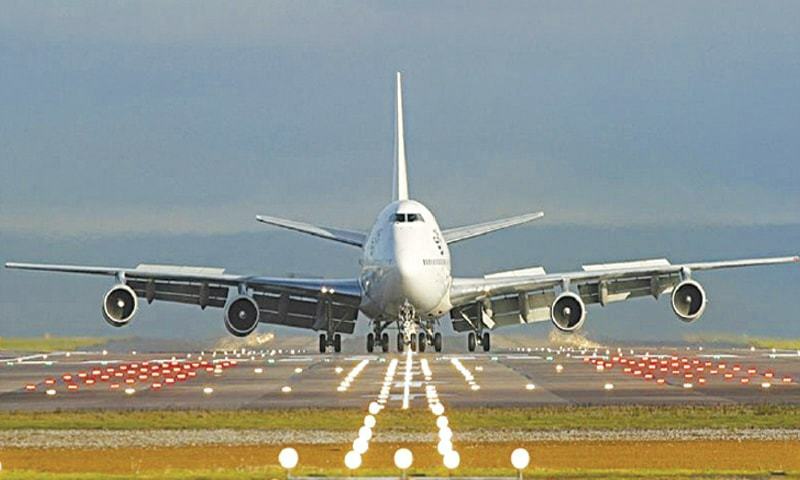 A financial rescue package for PIA would be prepared in the meantime so as to enable the federal government, if required, to inject budgetary support or issue fresh guarantees for loans rollovers with the start of the next fiscal year. The ECC also approved a series of supplementary grants totaling Rs17.052bn. This included a demand of the Cabinet Division to release technical supplementary grant of Rs14.844bn for current fiscal year. The ECC also approved another supplementary grant of Rs1.795bn on account for Temporarily Dislocated Persons from North Waziristan in the wake of Operation Zarb-i-Azb. Informed sources said the ECC also approved a request of the Ministry of Interior to transfer $3million worth of technical supplementary grant to the ministry of defence for the maintenance of PM’s Cessna aircraft. In order to meet the expenses of Capital Administration and Development Division (CADD), the ECC approved technical supplementary grant of Rs202.637m for and Rs12.409m for Pakistan Chairs Abroad. Similarly, the committee also approved supplementary grant of Rs156.327m for Ministry of Health Services, Regulation and Coordination and Rs41.671m for Ministry of Overseas Pakistanis and Human Resource Development. The committee was also briefed by Ministry of Science and Technology on the status of operationalisation of Pakistan Hilal Authority. The committee directed that Prime Minister’s Adviser on Institutional Reforms and Austerity Dr Ishrat Hussain should review the matter of placement of the Hilal Authority under the most relevant ministry. The committee also accorded approval to the proposal of Ministry of National Food Security and Research to extend the export period of surplus wheat from Pakistan Agri­cultural Storage and Services Corporation (Passco) stocks for two months. The ECC had earlier allowed 500,000 tonnes of wheat export out of Passco stocks latest by April 30. The deadline has now stands extended to June 30. 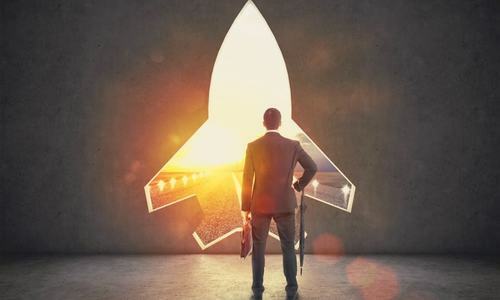 The committee also approved the proposal of Ministry of Industries and Production to allocate 66mmcfd additional Mari Deep Gas to Private Power Infrastruc­ture Board for power generation purposes. Sell old cars, sell government property and transfer deficit from one department to another. Poor performance! The govt should focus on improving rail service through the funds being given to PIA. Next step is either to privatize pia or shut down the company. A troubled financial position at PIA? Who knew? When Nawaz Sharif was trying to sell it, PTI used ot as an opportunity to play politics. Now they are stuck with this liability. PIA liabilities reach the stratosphere. They must be burning money for fuel. All of a sudden releasing huge budgets...just before annual/fiscal budget? This really questions Sir Asad capabilities for his post. Injecting millions of rupees as bailout is not the answer, Govt should simply close PIA & open a new airline. Why does Prime Minister of a country with poor people like Pakistan need a separate aircraft? $3 million is a big amount. $300 million for PM aircraft? Austerity goes down the drain i guess. The PIA should be declared bankrupt by march and assets sold to spare the tax payers the misery of a black hole. Only on paper? Who will pay the money in this condition? Selling buffalo is an innovative idea to meet the expenses. Don't squeeze big taxpayers further, they may shut the businesses. USD 3 million for PM's aircraft? wasn't its running cost less than that of a bicycle? The PIA problem is unresolved since 15 years, there is no real intent to resolve it. 3 million US Dollars for the Prime minister's plane is granted. This should be the headline. Imran Khan is talking about austerity, but his actions are totally different. 3 million dollars just for the maintenance .how oftern does he fly and this 3 million is on top of the amount already budgeted for maintenance. We Pakistanis living in the UK pay the highest fares to this crippled airline where none of the entertainment screens work,half the lavatories are out of order,staff do their best to ignore the call bell.Please please do us and the poor country a favour and shut this ramshackle airline down. @Aamir, Though old deficit had been transferred to another department by the FG for payment but the arrangement also meant that the Federal Government will not provide any subsidy in future.Thus atleast that particular source of creating deficit had been stopped. The last sentence of your comment should now be good performance. @Safdar ali, Its $3 million dollars for the Prime Ministers Aircraft. Welcome to the airline where merit do not count, people are given jobs out from personal contacts and bad service & delays are part of the business practice. I have switched over to other airlines and to those people who want to play the nationalistic-card: it is my own hard earned money I will use them where I get the most out from them (which is logical). Transferring one department liability to other, completely illogical. @Safdar ali, The article said $3 million, not 300. Having observed the scenario of our region which includes SAARC Bangladesh, Air Lanka PIA subsidy is out of question, and it should be privatised to the private sector, or also Emirates whose A-380 the former flagship aircraft from Toulose Paris. The A-380 has stopped further production, support as it is economically, and the CAA Pakistan invested in the airfield compliant to A-380 Islamabad airport. Emirates and no other airline will invest in the truck A-380 which the country's finances for placement of the A-380 landing of Emirates. Emirates possibly soon scrap the aircraft. Hence PIA may receive the grant of A-380's from Emirates which could fly from Islamabad to Dubai at 50% less than Emirates to bring the Tourist for the Tourism year of Pakistan. Possibly this could be reciprocal from PK, Dubai to enhance cooperation. Whatever people say about PIA and its finance and customer service, one thing they do have is amazing pilots. I travelled with PIA on 16th February from London Heathrow. I expected no TV screens to be working. However, the customer service was exemplary. Food was server to kids first and then adults. The food also from London was suprisingly good, seats were fine, leg room plenty, toilets (one was out of order) clean. Got to Islamabad in 7hrs flat. Granted they need upgradation but it ain't all that bad with PIA. "$3 million supplementary grant for maintenance of an aircraft for the prime minister." PTI told us that they will curb the expenses so WHAT IS THIS, Can't Khan travel on regular flights, as country is facing financial turmoil why should waist these $3 million on repair. IK fooled the public by selling cow & buffaloes of Prime minister house but at the end ALL POLITICIAN ARE THE SAME. Stop fooling public!!! how long will we keep in flogging this dead horse? What else can they do to save PIA, a doomed, dejected, demoralized and dwindling case of a downing airline, hard to be saved and resurrected from the claws of bankruptcy?